This card is my Global Design Project #124 entry where we are CASE-ing the designer, this time it's Louise Sharp from Australia. So I have taken Louise's original use of the floral wreath and worked with the new Sale-a-bration bundle Blossoming Basket. 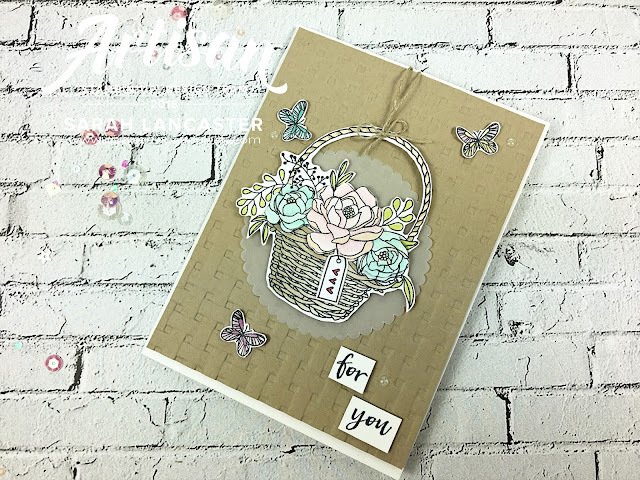 Keeping with her theme of the circle idea I have added a vellum die cut behind my basket and used linen thread to secure my basket to the card. This is an interactive card because the basket is not attached to the front of the card, it can swing left and right on the linen thread. 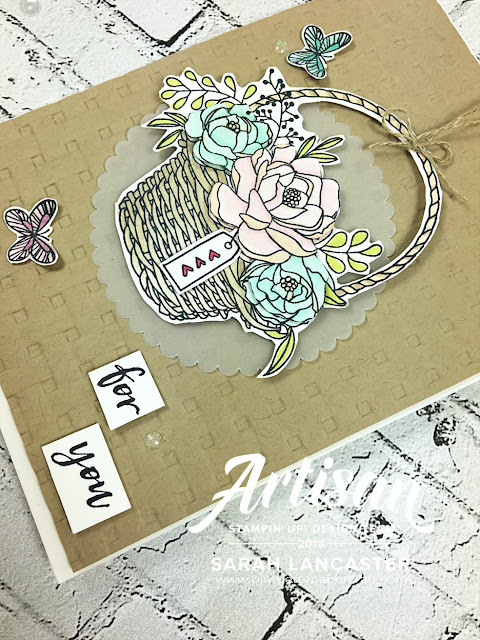 The colouring was done with my Stampin' Blends. 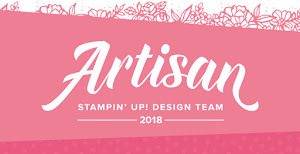 Just look at the awesome embossed background. 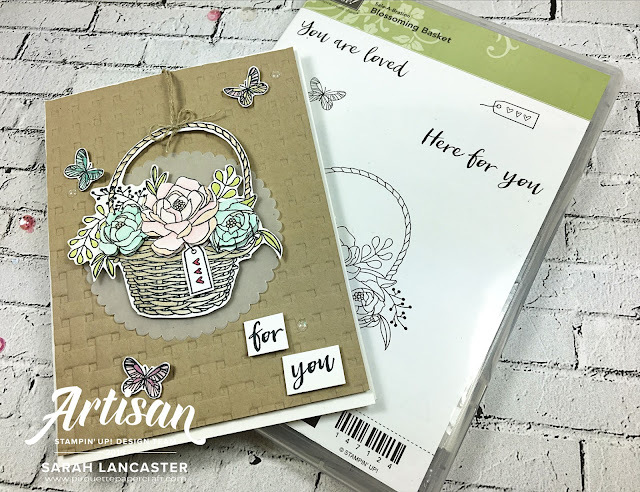 You will definitely want to grab this bundle from 16 February because the embossing folder will be carried into the 2018-2019 Annual Catalogue.